This page is a resource within One East Midlands Reach & Impact project. For further resources related to ERDF funding and One East Midlands Reach & Impact project visit www.oneeastmidlands.org.uk/reachandimpactresources. For further information about the Reach & Impact project visit www.oneeastmidlands.org.uk/reachandimpact. Local Enterprise Partnerships (LEPs) have a rapidly expanding role in driving the local economic growth agenda. From 2014 this role will include developing investment strategies for European Structural Funds investment in business growth, skills, inclusion and rural development. Many of these priorities impact on the work of VCS organisations or on the people and places that VCS organisations support. To read One EM's briefing on the changing role of LEPs from 2014 and how the VCS can engage with them click here. Sheffield City Region (SCR) – Sheffield economic area including the districts of Bassetlaw in Nottinghamshire and Chesterfield, Bolsover, Derbyshire Dales and North East Derbyshire. Specific pages on each of the individual LEPs can be accessed by clicking on their names above. In January 2014, the Department for Environment, Food and Rural Affairs published maps showing the rural and urban areas covered by each LEP. 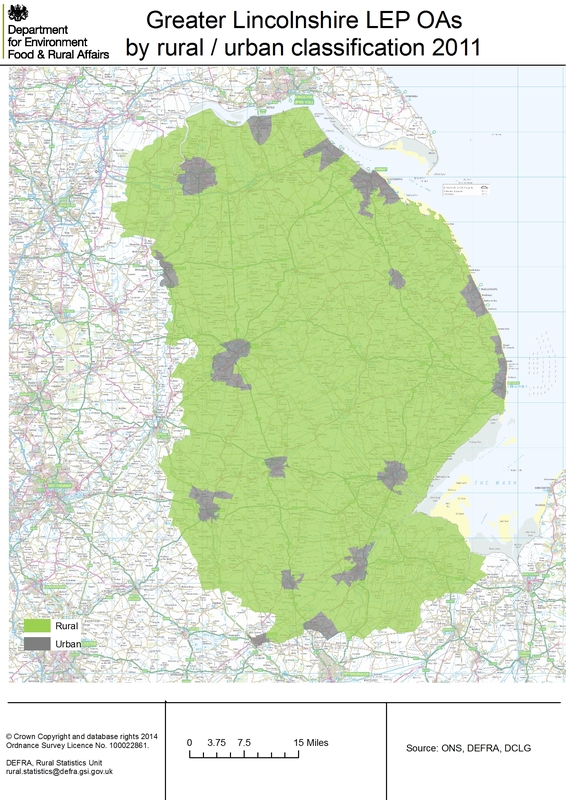 The maps for the seven LEP areas covering the East Midlands can be accessed below. The LEPs covering the East Midlands and a majority across the UK have made their final EU Structural and Investment Fund strategies available, which provide detail on how each LEP want to spend their EU allocation of money and which priorities and opt-ins they are interested in exploring. Below are links to the priority areas for the LEPs. Below each priority area is a list of individuals within the voluntary and community sector who are interested in working in partnership to deliver collaborative projects within the priority area. These pages were developed following One East Midlands Reach & Impact project, in partnership with ACEVO, running a series of workshops across the counties of the East Midlands in late 2013 and early 2014 to help third sector organisations, funding advisers and development workers start to prepare and think about how taking advantage of opportunities in the next EU Structural and Investment Funds 2014-20 programme. The following LEP funding allocations were confirmed by the Secretary of State for Business, Innovation and Skills on 17 April 2014. One East Midlands work on LEPs mainly falls under our ERDF Reach & Impact project and our NCVO European Funding Network commissioned LEP engagement project. Links to these and other useful information and resources are available below. The NCVO European Network have produced a series of documents to support VCS engagement and relationships with LEPs, which are available below. For further information on the NCVO European Network visit http://europeanfundingnetwork.eu.